I am confident that our learning community will offer your son or daughter, or family member, a valuable learning and growing experience. Well over a century ago the university’s Finnish-Lutheran founders were deeply committed to equipping men and women for life and work in a new context and changing world. This same commitment remains. 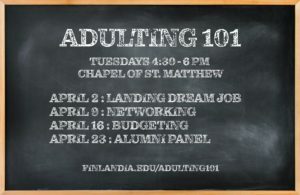 Finlandia persists in developing new programs to better prepare our students for a world that is changing and challenging. Whether your son or daughter, or family member, is a residential student, a student-athlete, or a non-traditional student, Finlandia’s faculty and staff are striving to make your time here meaningful and enriching. At Finlandia we value doing small well. 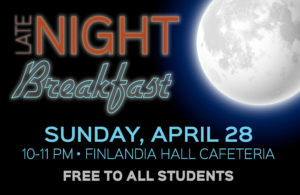 Finlandia is the place for you. 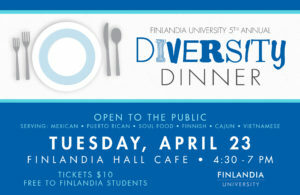 My door is open to all Finlandia students and their parents and families. Please feel free to stop by my office. You are the reason we are here. We are excited that your son or daughter, or family member, is considering enrolling at Finlandia University. Please take a few minutes to look around. We believe you’ll discover a dynamic and vital learning community.